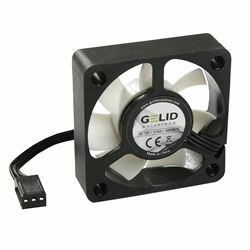 If you want your computer to run extra quiet, GELID's Silent case fans are precisely balanced to guaranty very low noise. Long-life Hydro Dynamic bearings and temperature-resistant rubber fan mounts also reduce noise-inducing vibrations. Includes 4 steel screws.